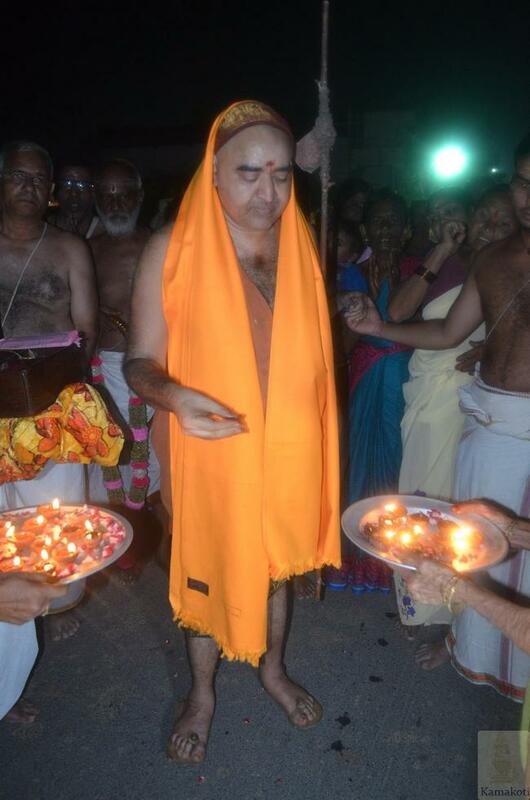 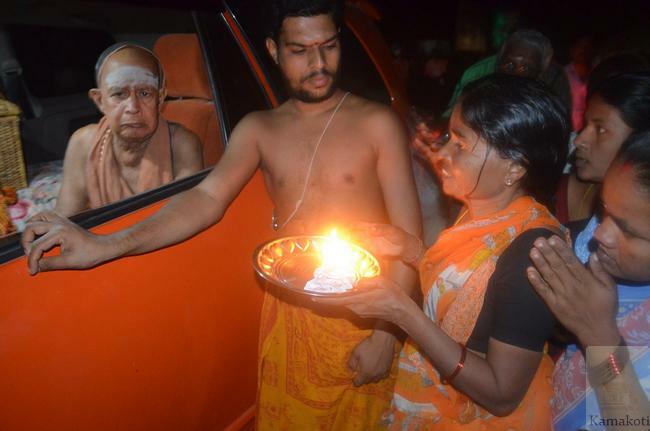 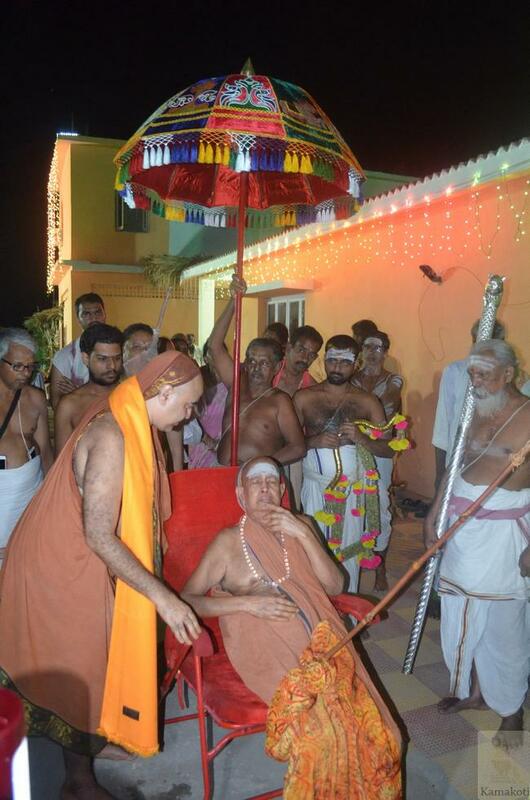 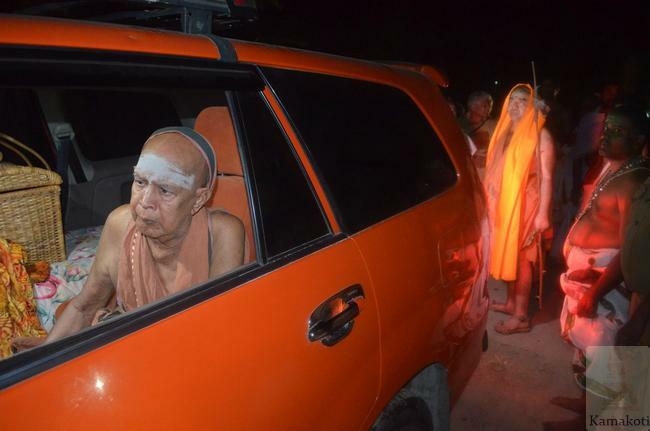 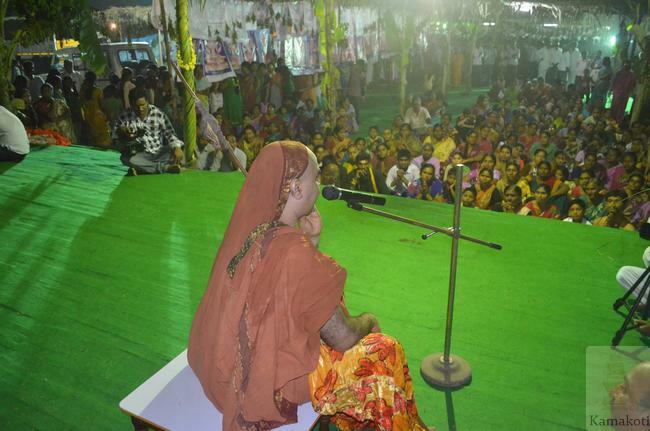 Rathotsavam of His Holiness Pujya Shri Jayendra Saraswathi Shankaracharya Swamigal was held at Kantepudi village in the evening after the third Kala Puja was performed by Shri Periyava. 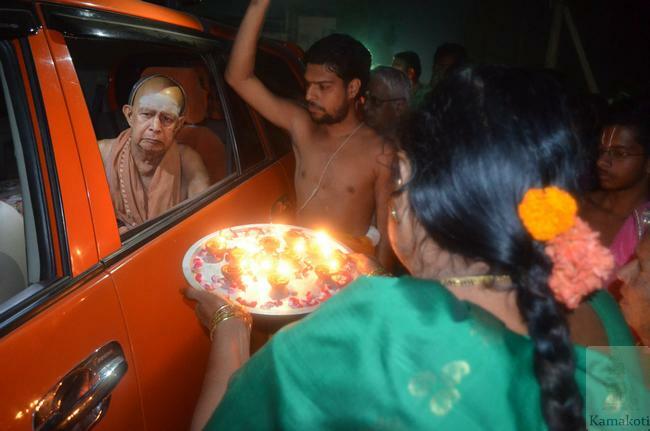 A beautifully decorated new chariot was adorned with flower garlands and decorations carrying a huge portrait of His Holiness Pujya Shri Jayendra Saraswathi Shankaracharya Swamigal. 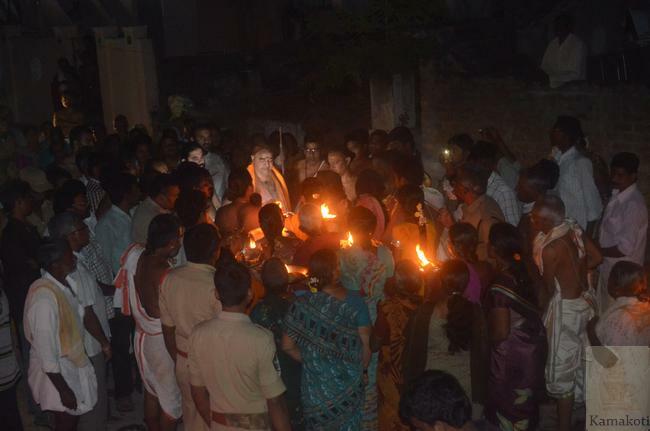 After Ratha Puja, the Utsava commenced. 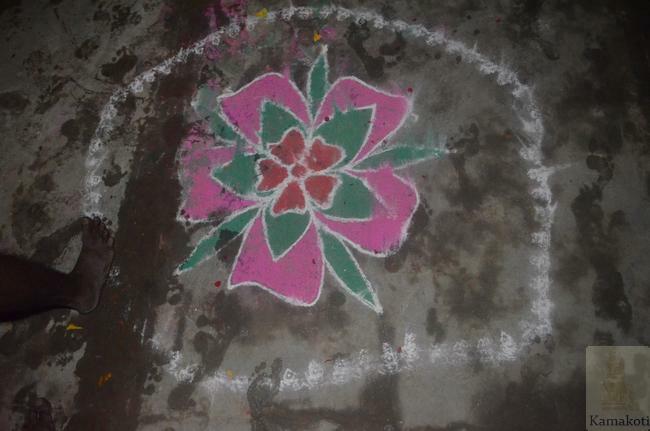 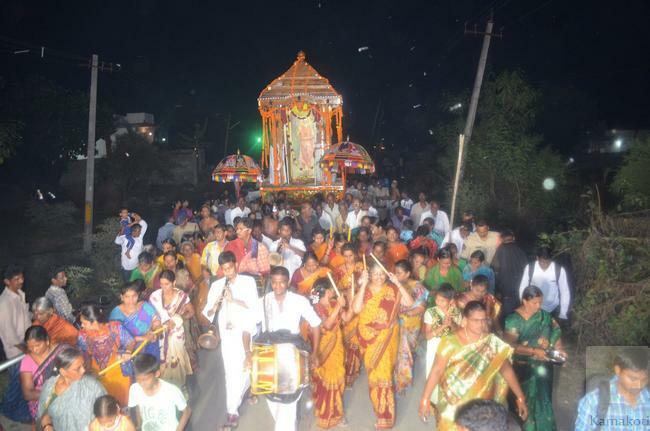 Chatram, Chamaram, Dhvaja & Dandam - symbols of divine respect were accorded during the occasion. 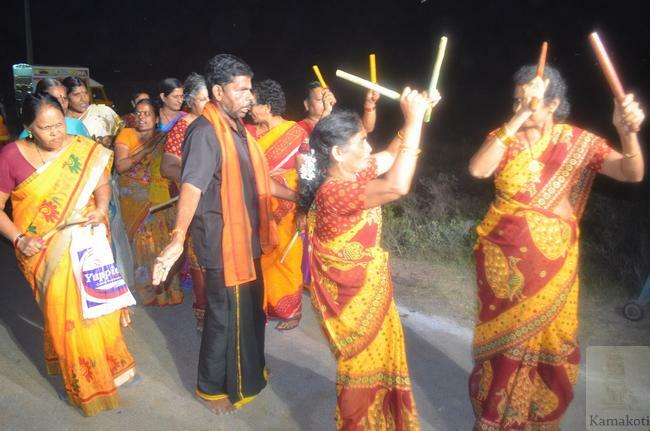 Mangalavadyam, Vedic chanting, village bhajana & kolattam were performed in front of the Ratham. 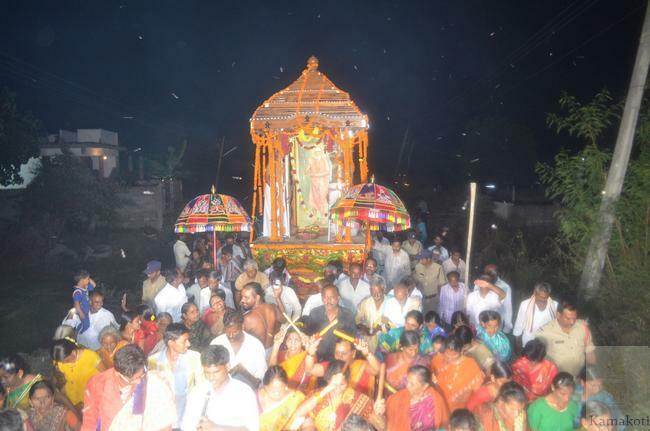 The Ratham was taken through the four main streets of Kantepudi village. 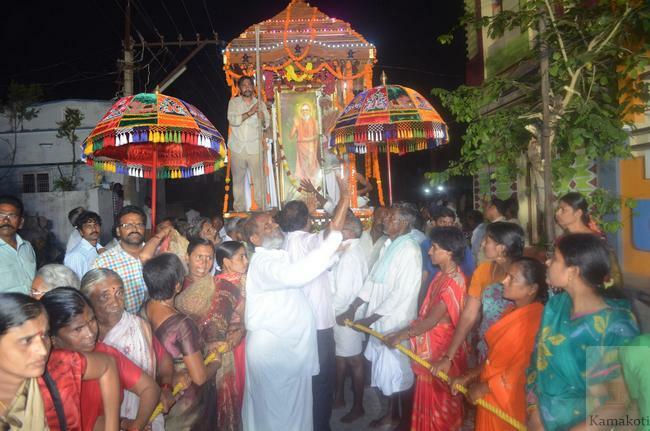 The people enthusiastically received the Ratham & Their Holiness with Purnakumbham, pouring of water on the ground signifying Pada Prakshalanam, & Karpoora Harathi. 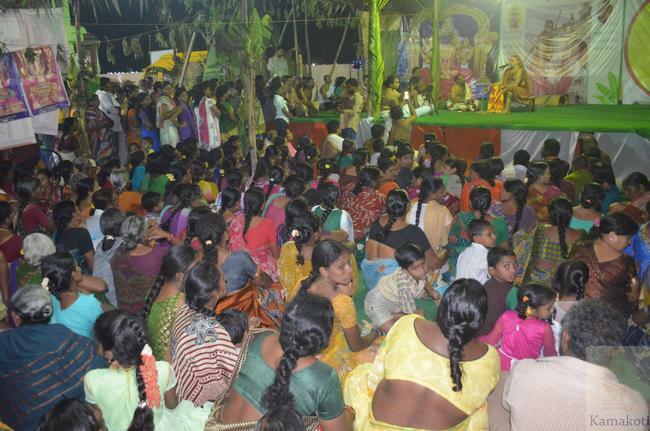 Their Holiness blessed every household with Prasadam. 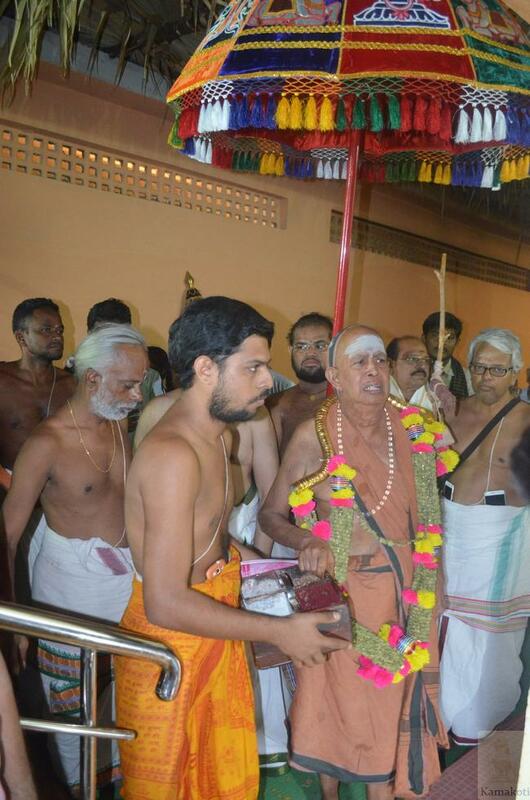 Books, photos & dollars carrying image of Adi Shankara & Kamakshi were distributed. 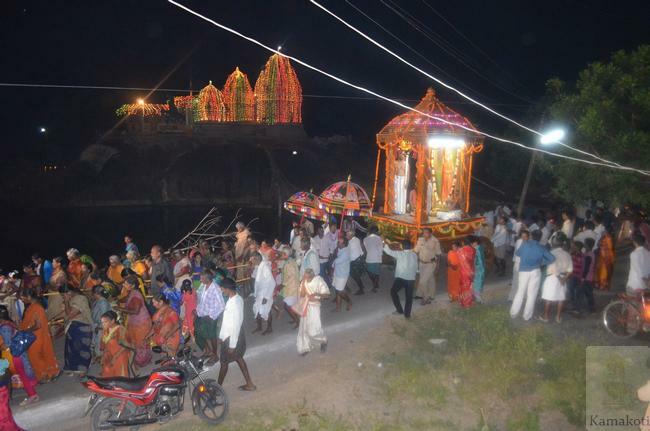 The Utsavam took nearly two hours to reach Srimatam camp at Kantepudi village. 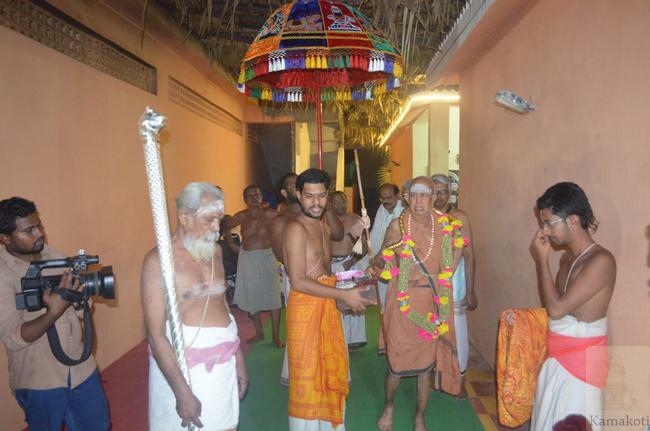 Later His Holiness blessed the gathering with Anugraha Bhashanam denoting the significance of Rathotsavam. 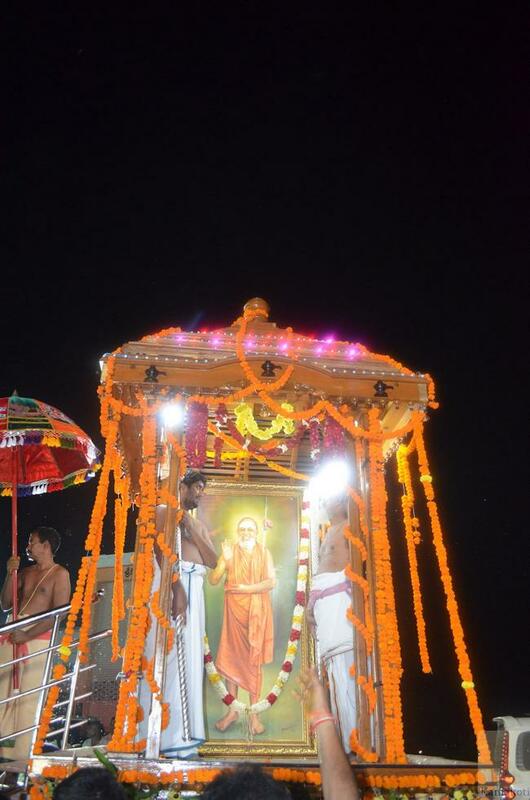 His Holiness explained that the Utsav expresses lofty ideals of unity & devotion to Guru. 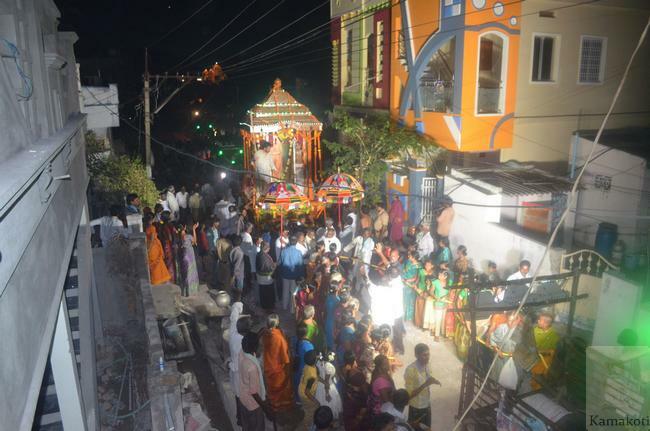 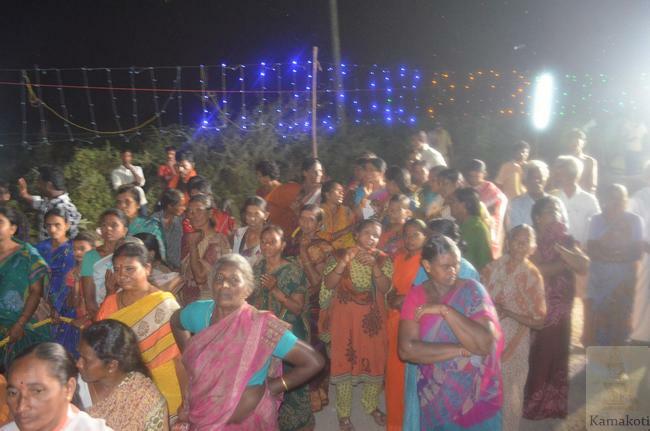 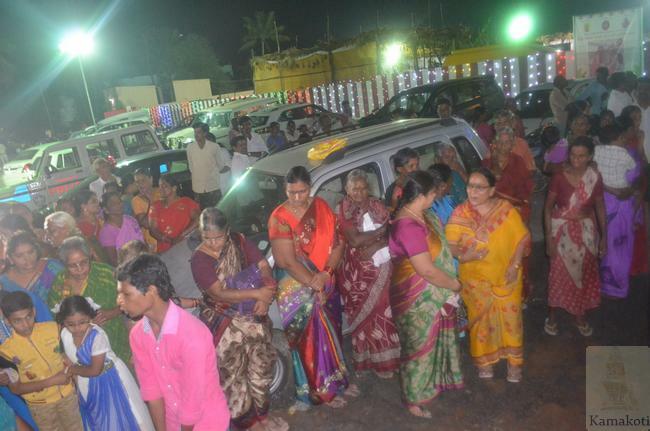 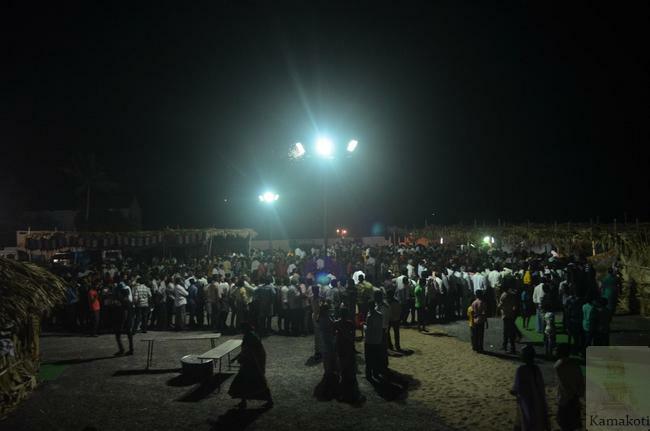 Mass feeding was held on that day also as was done on all days of Brahmotsavam.